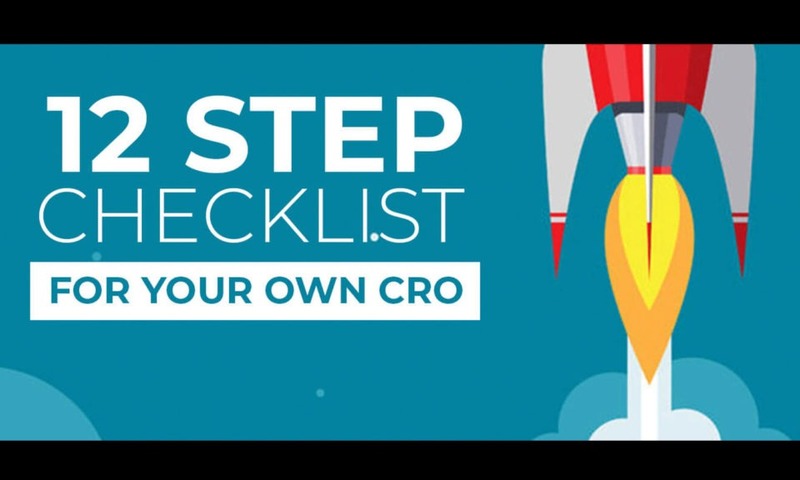 When it comes to CRO, the hardest part can be deciding what to start optimizing. 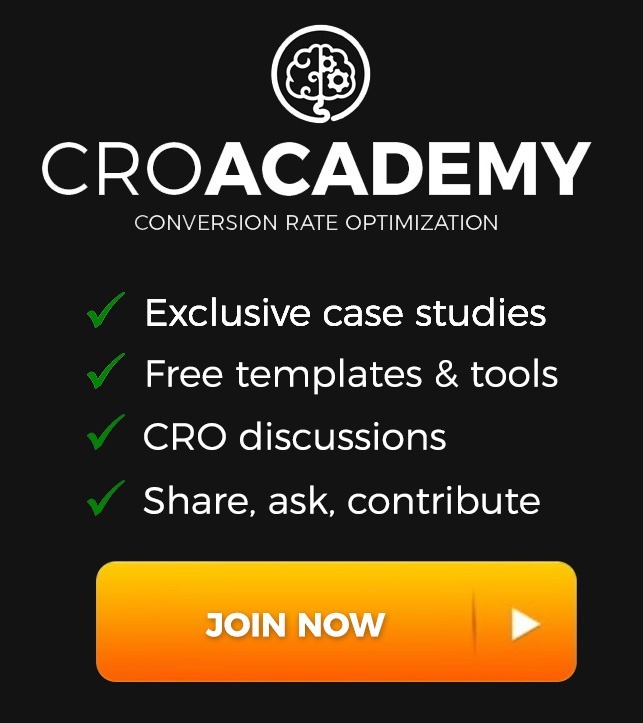 I have already done a post showing where to start if you’re new to CRO. The questions is, when you have the areas to focus on identified, what do you start testing? We all know the feeling; traffic is rolling in but you aren’t making a lot of conversions. If you own an affiliate, Lead Gen or eCommerce store, chances are you’re either facing this problem right now or have had it in the past. If this sounds familiar, then you are obviously hungry to make some changes and start making major sales or commissions. If you’re getting thousands of visitors a month, your site holds massive potential. You just need to unlock it. At Convertica, we have helped hundreds of clients increase their conversions by making small changes based on systematic testing. We have brought in major returns for site owners by applying a proven testing process. 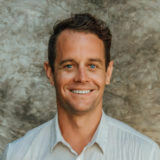 I asked my team of CRO magicians to uncover the secret and help me put together a list of the highest-value tests we run on a new site to increase conversions. Each of these minor improvements could help increase your conversions big time. Remember: In CRO, there is no “magic bullet”, or one-size-fits-all. If there was, none of us would be in business. You can never be sure what will work (or even what is working) unless you test, test, and test some more. However, with this systematic approach, you increase your chances of success exponentially. Now we have listed the best conversion rate optimization guidelines. Features: General wisdom states you need product features front-and-center so the buyer knows what they are getting. At Convertica we are interested in what works, not in theories. We’ve actually found that sometimes, having no features increases conversions (you only know if you test it!). A visitor searching for a fridge will almost certainly want to see specs, but if they’re just looking for a pair of socks, it’s not worth the bother. CTAs: It’s not only what you put in your CTA, it’s where you put it. What we’ve found effective are horizontal tables with CTAs aligned vertically (along the y-axis). 2) Do You Explain Why You Chose Your Number 1 Recommended Product? If you’ve got a number 1 product (or top model or merchant’s choice), are you just displaying the product and saying it’s the best? If so, this could be a big reason why you aren’t making sales. Testing has shown us that adding 3-4 reasons explaining why you chose it and then hitting your visitor with a CTA right there increases clicks in a big way. Bonus: If you’re using a sticky widget, do the same thing. We see too many widgets with just the product name and an image. Don’t let clicks to your affiliate slip away. 3) Is Your Comparison Table too Congested? A major mistake we see on affiliate sites is comparison tables with too many columns. Buyers love comparison tables because they make it easier to digest a product’s important data. If you have too many columns, it makes it harder to consume that data and decreases conversions. We’ve found that one column called “features or details” with all of the info listed outperforms multiple columns by a good margin. It occupies less space and makes life way easier for your customer. 4) Are You Sure You’re Selling the Right Products? You can have the best comparison table in the world, but it won’t do you any good if it doesn’t have the right products in it. Review your Amazon sales data regularly and see which products are actually being sold. You’d be surprised how many times a client comes to us asking for a solution only to find out that they had the wrong products in the table. When you find out what is selling, review it and put it in the comparison table. 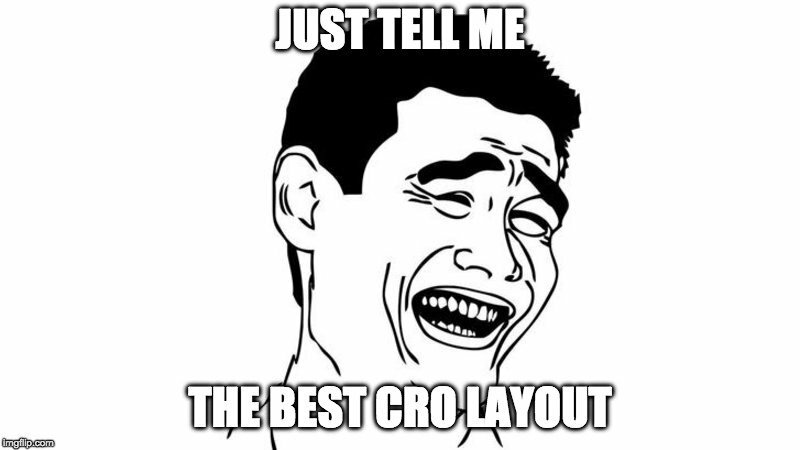 Remember: CRO doesn’t have to be complicated. Sell products that people want and they’ll make it to checkout! Bonus: Always make sure that the 1st product in the table is “Available” or “In stock” on your Affiliate partner site. The first product is the one which has the highest CTR compared to all other products reviewed on the page. If the product isn’t available, it might turn off the visitors, and you probably won’t get the sale. — For your query get a quote from our website optimization service for free. When people search for keywords with “best”, they are in buy-now mode. Don’t beat around the bush with this one. Make sure your comparison table is right at the top the page (within the first 2 paragraphs). We’ve increased clients’ CTR by over 10% just by moving the table closer to the top of the page. Sometimes a pop-up can be a good thing. Sometimes it puts customers off and decreases conversions. The only way to know is to test (are you noticing a pattern here?). If you aren’t getting conversions, stop throwing offers at your customer’s face and see if that leads to an uptick. Having cons clearly visible on products increases consumer trust. Reviews that list pros and cons often outperform their counterparts by a good margin. If you’re simply stating why a product is good, it doesn’t drive a customer to take an action. Pros and cons are straight to the point and allow a visitor to think, “Aha! That’s the benefit I’m looking for.” Put the pros vs. cons comparison below the product review and see if that helps out. 8) Are Your Images Hi Resolution Enough? 67% of consumers stated that product images are VERY IMPORTANT in purchasing a product. In fact, they might even be more important than your descriptions. Don’t skimp in this department. Larger, clearer images are one of the easiest wins you can get and will almost certainly lead to better conversions. One thing that we noticed with a lot of affiliate sites is that the images in the comparison tables are too small. Just by doubling these image sizes in our variation tests we have seen an increase in CTR of about 10%. Make it easier: Delete unnecessary steps. Combine multiple steps into one. Having a “product preview” and the payment gateway on the same page is one easy way to combine two pages into one. Make it fun: Make the process engaging and fun by gamifying the process. Add slider bars, multiple choice questions, or even a questionnaire to help them find the right product. Remove forced sign up: If they have an account already, add an “Already have an account” section to the top of the checkout form. If they don’t, create an account for them automatically when they fill out the form. Lesson: The more barriers to the goal, the harder it is for your customer to complete that goal (simple, isn’t it?). There is no magic bullet to CRO (I’m thankful for that). What works on one page might not work on another. It depends on the nature of the product and the type of consumer. We’ve seen certain layouts bomb on certain pages and perform like champs on others. Run tests on every page to see what’s working and what isn’t. And remember, don’t assume anything. Let your customers decide which version is best, and always keep testing/refining. We totally understand why you love your sidebar. It’s a great place to display some prominent information that you think the user needs and to run some ads (we’ll cover this next, but for now, I advise you to study about common split testing mistakes done by a newbie). It could very well increase your sales…but you never know! Try a full-width page instead of a sidebar. The sidebar might be counterproductive if it’s a distraction to your visitor. Not having it keeps them focused on what’s in front of them: your products. It’ll help put more emphasis on the things you’re trying to sell. Ads are a great way to make some extra money, but they could distract users from the products and turn them off big time. Try removing ads from your page and see if that does the trick. Final Tip: Never test blindly. Yes, these step by step conversions will increase your chances of CRO success immensely, but taking a shot in the dark has major opportunity costs (especially for eCommerce stores). If you make the wrong change, you could cost yourself a great deal of sales. Instead, run heat maps for a while to get live data. Test the highest volume areas first. We’ve CRO’d sites for over a hundred clients, and these are the exact tests we run on each new site. So far, they’ve produced the best results. The important thing to remember is that this is a systematic process and EVERYTHING has to be tested. You never know what’s going to work, but if you follow this checklist, we’re sure you’ll find what does. Be part of our conversion rate optimization class and learn more particular conversion strategy. Could you recommend tracking software to track conversions of different affiliate programs/buttons etc. Our preferred partner is VWO.com. Great list, here’s my take on some good affiliate site advice. You see guys who consistently recommend as many products as possible. Why? Too many options can be a bad thing. Testing how many products you’re actually recommending is a good idea. Couldn’t agree more. We normally limit it to 5 products to hit all the different type of buyers. Awesome post once again! Awesome interview with Daryl btw. Also, looking sharp in your widget box. Glad there’s not a”magic bullet” for CRO. It would just be too easy. “Testing has shown us that adding 3-4 reasons explaining why you chose it and then hitting your visitor with a CTA right there increases clicks in a big way”? I know test and test, but overall what are some good baseline words to include in your H tags? “Bucket Brigades”? Anyways, love your posts… keep um coming! It’s good to let people know WHY you chose a product. Is it price, quality, best for X etc. It all depends on the review. Cheers mate. As for word count, 4-5 words is usually a good amount. Great advices Kurt, I love your all tips and learning from them a lot! Have a question about “vs” articles. I have a few of them on my affiliate website and I’m struggling with conversion on them. Do you have any tricks to boost conversion on such pages? I know that articles with “best XYZ” convert better but I’m also pretty sure that “product/brand 1 vs product/brand 2” also could perform better. As you said, there’s no magic bullet and always you need tests but maybe you have some quick-win advices? A few things that work well. – A call to action button near the product image. – Making sure the design looks good on mobile. – 3-4 benefits or features showing the user WHY you chose these items. Thanks Kurs. I will try these ones! In your opinion, when we have let’s say 10 products in the article, you think it’s better to include only first 5 in the comparison table? Also, from your experience, does adding images to the table help to increase conversions? Yeah it’s worth testing 5 vs 10. Also, generally most items perform better with some images. Some markets better than others. Always test images in tables. Really practical and useful ? Great article, are there any wordpress plugins or themes that you recommend to create comparison tables? We custom code them ourself so that we aren’t limited to any restrictions that bloated plugins may have. Tables are really easy to go, you don’t need a plugin.